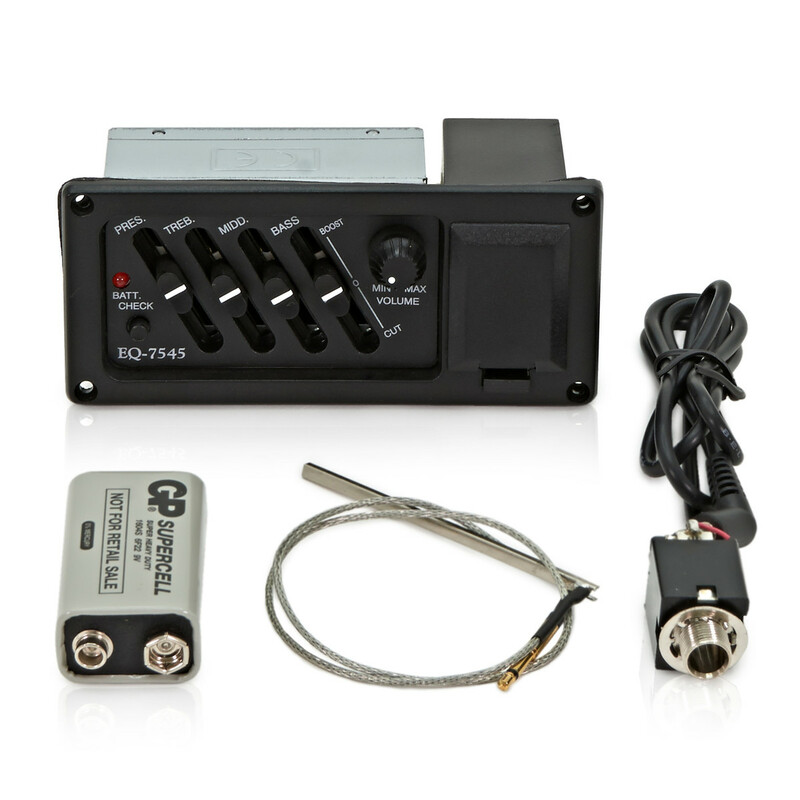 The Belcat EQ-7545 pickup is a four band EQ pickup with a clear and rich sound. The ceramic piezo pickup has a wide frequency range between 20Hz and 20KHz, making it suitable for electro acoustic guitars. This pickup is used with the Roundback Guitars by Gear4music.